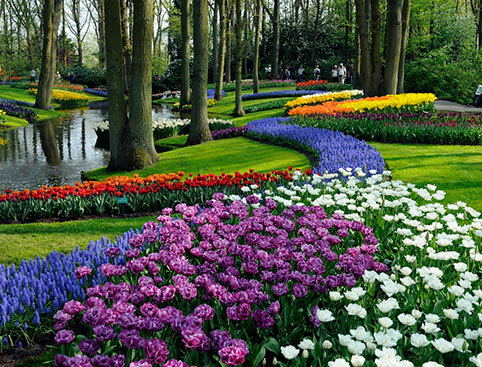 Enjoy 3 of Holland’s top attractions, tours and more! 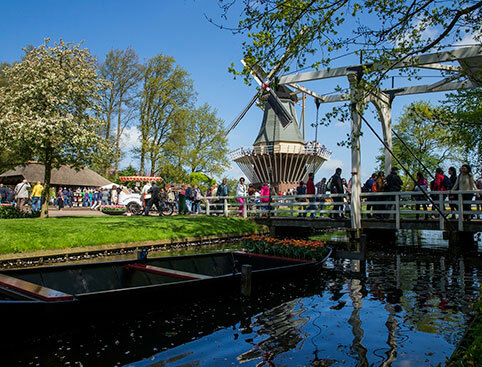 Enjoy 4 of Holland’s top attractions, tours and more! 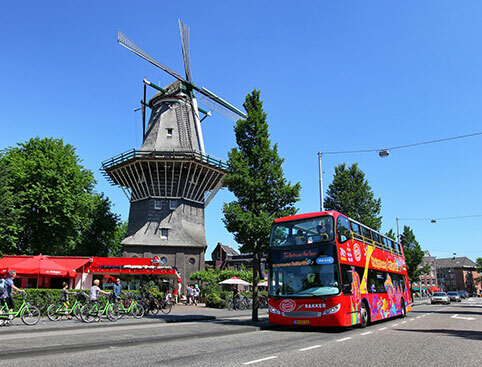 Enjoy 6 of Holland’s top attractions, tours and more! What’s included with my Pass? Free entry to 3 of the city’s biggest attractions, tours and more. The choice is yours! Discount card with up to 50% at shops, restaurants, museums and attractions. Click here to see a full list of what’s included! Your Holland Pass is valid for 1 month from the date of redemption. Simply print off the e-ticket and bring it to the redemption location shown below to receive your pass. Lindbergh Tours & Tickets located at Damrak No. 26 Amsterdam, 1012 LJ. Free entry to 4 of the city’s biggest attractions, tours and more. The choice is yours! Click here to see a list of what’s included! Free entry to 6 of the city’s biggest attractions, tours and more.The choice is yours! Validity: Valid for 1 month once activated. Don’t Miss: Jumping the queues at the biggest attractions! 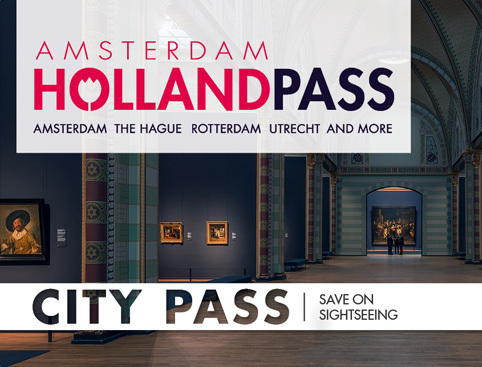 Have a great time in Amsterdam and other Dutch cities without the worry of how much you’re spending – the Holland Pass gives you free entry to your choice of top visitor attractions plus many discounts and savings on top! 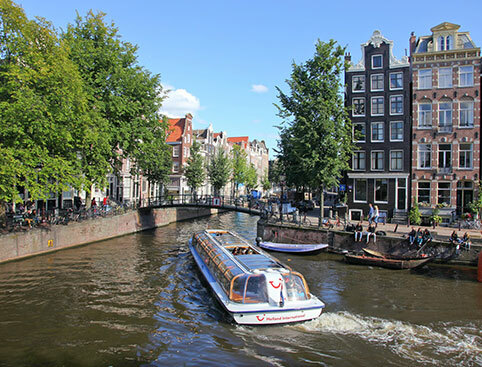 Valid to use for a month, your Holland Pass gives you the perfect opportunity to explore the fascinating city of Amsterdam, plus other cities such as Rotterdam, The Hague and Utrecht. Be as spontaneous as you like – with this flexible pass you don’t need to commit to specific attractions in advance, just bring your pass with you to whichever 3, 4 or 6 attractions take your fancy! For a current list of all the inclusions and discounts available with Holland Pass, please click here. Please note inclusions can change at any time without notice. Any changes are beyond our control. Discount card with unlimited discounts of up to 50% at shops and restaurants, plus extra savings at museums and attractions. What do I get with my Holland Pass? Your Holland Pass is activated the first time you use it to enter an attraction. How many people can use the pass? Free entry to your choice of 2, 4 or 6 of the city’s biggest attractions, tours and more! Public transport. However, this is an option you can pick in exchange for a Silver category.